When it comes to professional partnerships and services, it can be hard for a potential client to assess if you’re worth their investment. Of course, you can show them examples of your work, share a case study or two, an award, but when you’re working with other people, you have an added dynamic that can’t really be evaluated through these things. In these situations, you’re likely looking for camaraderie and trust. You’re looking for people you’ll work and communicate well with on a daily basis. As a marketer, it’s your job to build that connection with your potential customers so they feel confident that you can achieve what they need you to and that you will deliver what you promise before you start working together. Employee bio videos are one of the easiest ways to engender this with existing and potential clients. An employee bio video is a quick look into who works at your company (and one of the 7 essential types of sales videos we highlight in The Selling 7). Usually around two to three minutes, these videos give basic information about each employee show off their personality and let the viewer get to know them. As I mentioned earlier, it’s all about trust and connection. When you watch someone speak on video, talking passionately about their job, you see the human side of the business. You see a smiling face and can connect. You get to know who you may be working with long before you even meet. Things can get very impersonal when you’re shopping online. You’d rather talk to a friend than a stranger, right? Once your potential clients see a bio video and connect with the smiling face on your team member, that sense of your employees being mere strangers lessens. Building that trust with face-to-face contact via video translates into faster connections and better relationships when clients do what through your door. Trust is important for many aspects of your business. Not only can trust help you draw in new customers and retain them, but your happy clients are more likely to spread the word about you as well. 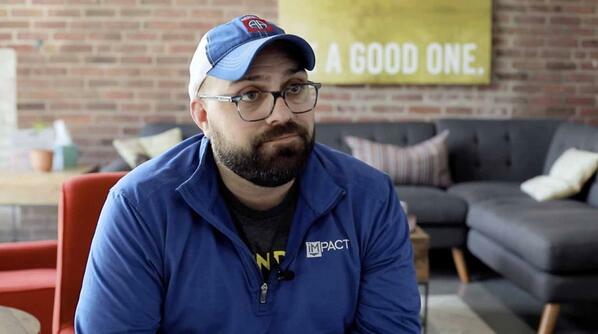 At IMPACT, we’re currently working on our own videos for this very purpose. 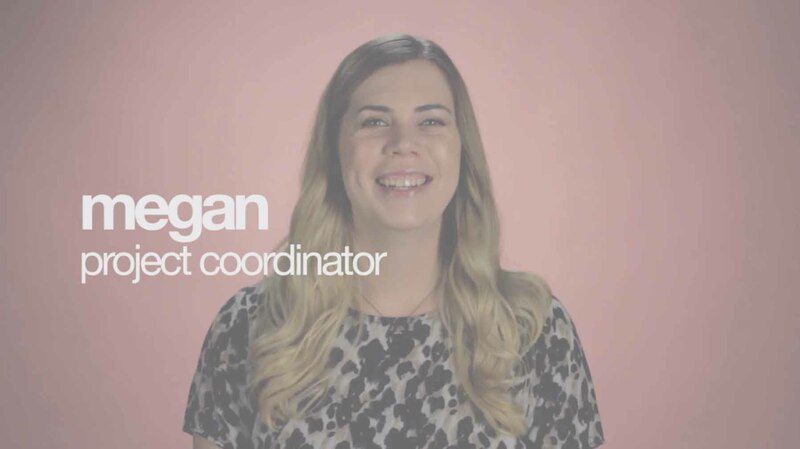 What Does a Good Employee Bio Video Look Like? 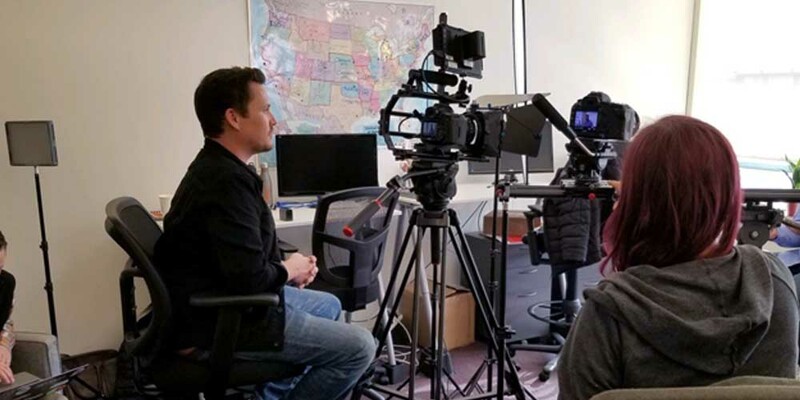 A good tip for shooting employee bio videos is to shoot interview-style. Seat the employee in front of the camera and have an interviewer sit next to the camera. Have the employee talk to that person in a conversational tone. This helps a lot when your employees aren’t comfortable on camera. They can talk to someone instead of a lens. Make sure you have some b-roll, that is, footage without sound, to put over the main footage. Try to have b-roll of the person you’re interviewing working or doing the things they’re going to be talking about in their video. This helps mix up the video a little and make the message better resonate. If members of your team aren’t comfortable on camera, b-roll can also be helpful for covering up nerves. Another good idea is to keep it short. Potential clients are taking time out of their busy day to research you, so keep your employee bio videos concise and worth their time. Most people’s attention spans are pretty short these days, even when they’re researching. All you need is enough to show your audience you’re personable and trustworthy. So, there’s no need to launch into everyone’s life story. Overall, remain true to your brand identity and don’t be afraid to have fun with it. You want viewers to remember that video after they close that window, so try to show what makes you individual and unique. What Should You Ask Employees? When you schedule this shoot, make a list of predetermined questions and share them with your team. This will help them plan what to say and get the most out of their interview. First, you can have them explain their role. Titles can be confusing, especially to people outside the organization. What are the problems you help clients solve? These questions establish both the mechanical aspects of the job and establish credibility. The next thing you can do is explain their ideals. What makes you unique for this role? What is it important that customers experience with you? These questions answer the more personal side of things that you wouldn’t necessarily put under their picture on your website. It helps the audience relate a lot more to the person on their screen. And lastly, describe your personal life. Do you have kids you love? Did you hike Mount Fuji? Expressing your passions and hobbies can help build connections with people you have never even met. Here are some examples of my favorite employee bio videos. There are a few examples on this page that are awesome! They start with extremely humanizing moments that are funny and make you feel an immediate connection. They explain the main points of what they do and why quickly and clearly, and throughout the whole thing, you get a really good idea of who you’ll be working with. This is a good example of the Interview style I recommended. It’s shot in a really nice setting that makes sense for the company, and their use of b-roll shows you how nice and welcoming she is. Based on this kind of b-roll, you can imagine yourself as her client easily. The interview style shooting also works well here and allows her to be comfortable and conversational. Okay, this isn’t quite an employee bio video, it’s a team video, but it’s something out of the box that I definitely remembered. I would recommend getting some audio sound bites from the people on screen, but this is an excellent example of how to have fun with it. Those buzzwords like “sweet talker” and “data nerd” are fun and help you get to know their team quickly. In a world where you can write just about anything online, it’s hard to develop a human connection. Seeing a face, reading body language, can help with that. Building trust through video is the fastest way to make connections with little to no effort on your end. You shoot it, you edit it into something worthwhile, and your audience will connect with it. Once they connect with it, half the work of establishing trust and a connection with them is done when you actually meet face to face.